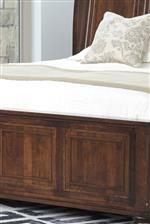 Abundant storage meets relaxed and elegant style with this nine drawer dresser. 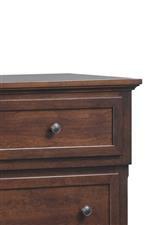 Its top three drawers are smaller, to keep clothing items such as socks and undergarments better organized. 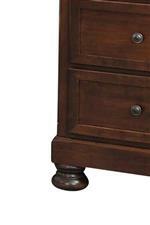 Details such as raised paneling and bun feet help to add a touch of sophistication to this piece. Its rich tones and solid construction ensure this transitional dresser will bring relaxed elegance to your bedroom for years to come. The Brigantine Transitional Nine Drawer Dresser and Mirror by Palettes by Winesburg at Dinette Depot in the Brookfield, Danbury, Newington, Hartford, Connecticut area. Product availability may vary. Contact us for the most current availability on this product.